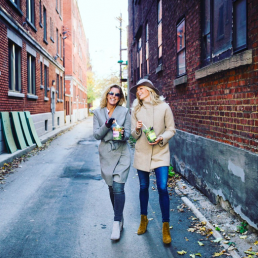 With no prior food, business, marketing or advertising experience, the sisters played their strengths: Mandy came up with an original menu while Rebecca designed the interior of the restaurant. They crossed their fingers and opened the doors…..
Against all odds it worked! The people had spoken! Gourmet salads were what they wanted. The sisters could hardly keep up with the demand as word caught on and the Mandys salad-loving family grew. 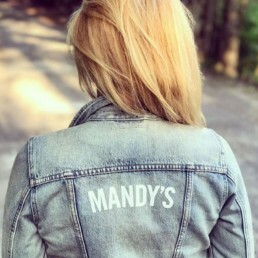 Fast forward to 2019, Mandy’s has 7 locations in Montreal, a food truck, and more on the way- locally and internationally. 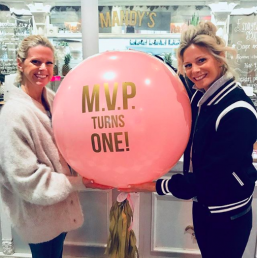 Mandy continues to be the Creative Food Director and Chef, while Rebecca designs all locations and heads Brand Marketing. When they’re not making salads, they can often be found pregnant and/or raising their vegetable-loving kids in the heart of Montreal.